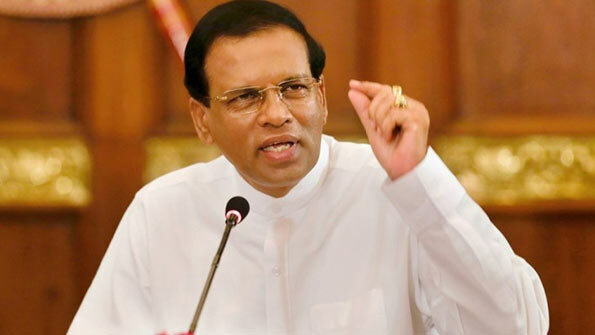 Religious Freedom has been ensured in Sri Lanka, as religious philosophies help people live more virtuously and disciplinedly, said President Maithripala Sirisena. He made these remarks yesterday (4th Dec.) at the bicentennial celebration of the Methodist Church of Thempola, Raddolugama. President stated that, although physical development such as construction of roads and buildings has increased, spiritual development has lagged behind. However, moral development of people is an indicator of the true development of a country. Recognizing the difficulties that Christian parents face when entering their children to schools, President also mentioned that if there are such issues, solutions can be found by discussing the matters with the Ministry of education. Rev. Asiri Perera, President of the Methodist Church of Sri Lanka and the Director of Seeduwa Urban Council Rev. Nadeera Perera were also felicitated by President at this occasion. President also honored donors of the church.